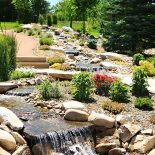 It is my great pleasure to work with Showcase Landscape & Irrigation since 2007. As a landscape designer, Showcase is the only installer that I trust to provide the highest quality installation, outstanding customer service, and professionalism. We work side by side to provide our clients with a truly great experience in designing and building their landscapes. The team of Showcase continues to amaze me every time we complete a project and together we take great pride in our services. Torre takes great care of his crews that have been with him 8+ years and there is a true family camaraderie. They work hard, are highly skilled in all areas of installation, have great compassion and are a wonderful team. From flagstone, water features, retaining walls, specialty gardens, stone work, irrigation, basically you name it and they build it. 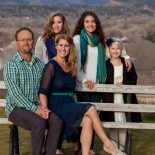 They foster wonderful relationships with their clients, meeting or exceeding their expectations every time and work within their budget. I am very proud to work with Showcase and so appreciative of the work we have done, continue to do and look forward to all the opportunities ahead. 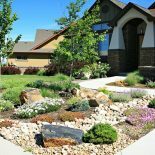 Any one searching for a trustworthy and caring landscape construction company will be more than pleased in hiring Showcase Landscape and Irrigation. 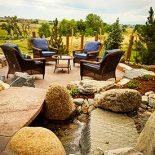 Colorado Vista Landscape Design Inc.